Android developers may lose their confidence on a number of occasions. There are a number of situations that can make Android application developers lose confidence in their knowledge, technical abilities and skill sets. For example, they may lose confidence when they cannot find inspiration or when they face some technical glitches, or they might come across some serious bugs, right when they thought they have developed an amazing application. Hence, something must be done, to help them build their apps with confidence. Let us look at some everyday tips which will help an Android application developer boost his/her levels of confidence. 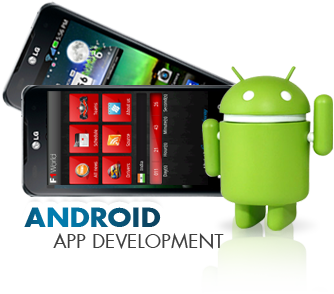 It may take months for developing an Android application. But what if, due to some technical glitches, all your precious data and hard work is gone? Scary situation isn’t it? This is why it is advisable to create multiple copies of your work and take regular backups. Hence, invest in a good quality external hard disk drive (with maximum storage capacity) and take the backup of your data in it. Additionally, you can use a number of cloud-based storage software (think of Dropbox or Google Drive) and take the backup of your work. Often, developers lose their confidence due to lack of inspiration. In this case, what you can do is take some time off from your work. Use this break to take a stroll in the park with your dog, visit nearby shopping centers, or if you can, take a mini vacation. Doing these will break the monotony and freshen up your mind and you will end up with more inspiration than you thought! Who knows, you might just get inspired by overhearing an interesting conversation in a cafe, by viewing an advertisement on a billboard or by observing a new fashion trend and much more. Don’t restrict yourself to your workstation; reach out to fellow developers by joining various forums online. Alternatively, you can also catch up with many of them at various events, conferences and seminars. When you exchange opinions and ideas with these developers, you will get numerous advices to make your app better. Also, if these developers find your work praiseworthy (for e.g. you have a unique concept or design in the app), they will appreciate it and this will boost your confidence. Developers often feel dejected when their concept is rejected by clients. This happens with even the most experienced developers. But there is nothing to worry about. Maybe that idea didn’t gel well with one client’s requirements but it might just be the perfect solution another client is looking for! Hence, never part with your ideas or think that they are waste just because you got rejected once. Keep your ideas in the pipeline, improve them and use them when you meet clients whose requirements are in sync with your ideas. Whenever you feel that your confidence is going down, you can use these basic tips and increase your confidence levels. Also, you can search some other methods to get motivated and regain your confidence apart from these tips and use them while working on your projects. Guest Author Logan Marra is a developer with AndroidAppsDeveloper.com, a new division of MyFirstMobileApp.com. He has worked on a number of iOS and Android based projects for his company. An out and out tech fanatic, he likes to research on the latest gadgets and technology related news and also writes about them. You can find his write-ups on a number of guest blogging websites. Previous Entry: If You Site Crashed, Are You Ready to Face It Up? Previous Entry If You Site Crashed, Are You Ready to Face It Up?